Liquid is poured from this vase until it is empty. Within seconds it magically fills itself. When you empty it…it fills itself again. Empty it again and within few seconds you pour even more liquid from the vase! This vase has the ability to magically refill itself over and over again. Up to Five or Six times you can pour 6 oz. of liquid from this vase. Size : 8 inches tall and 6 inches wide. 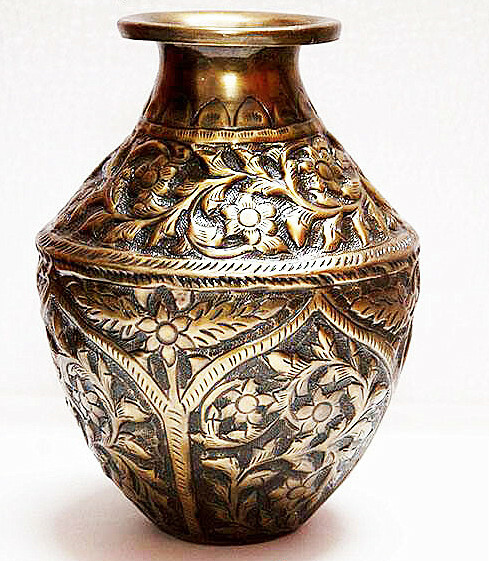 (This is not a thin metal cheaply made vase.) Weight 17 1/2 ounce empty. A Quality Standard Magic Prop you will proud to own and use Over and Over again. Including Insured Shipping within the USA. Return back to magic2motivate click here!